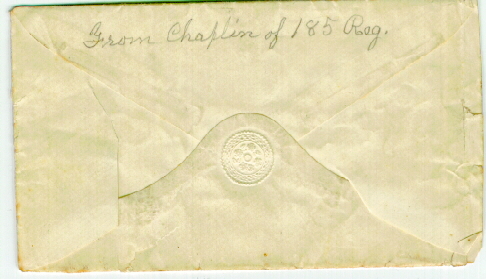 Chester W. Hawley was the chaplain of the 185th. 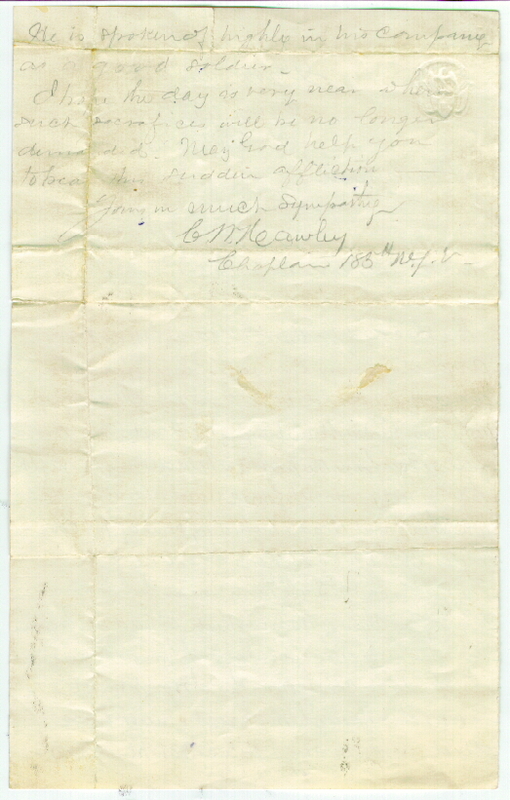 Following the death of Charles A. Bunnell on March 29, 1865, he wrote the following letter to William H. Bunnell of Marathon, New York. hand. You are right in supposing W.A. Bunnell should read C. A. Bunnell. 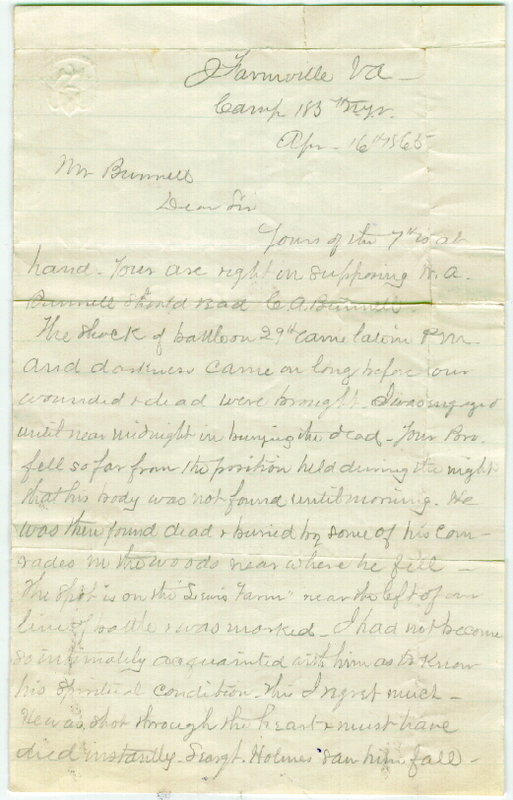 The shock of battle on 29th came late in P.M.
until near midnight in burying the dead. Your Bro. rades in the woods near where he fell. died instantly. Seargt. Holmes saw him fall. to bear this sudden affliction. 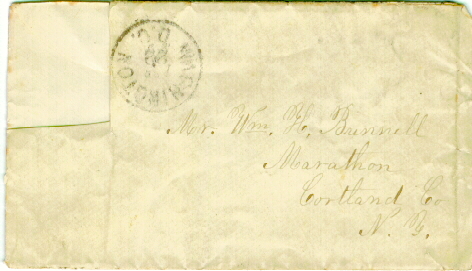 Charles E. Bunnell contributed this letter. File created: April 25, 1999. File modified: September 5, 2002; December 28, 2002. The material is used with his permission.